Vases are used to add accent and decoration to one’s home. They come in various designs, sizes, colors and shapes. These can sometimes be taken for granted but other people who are vase lovers see to it that they grab the perfect vase not just for their tables but also for their collections. 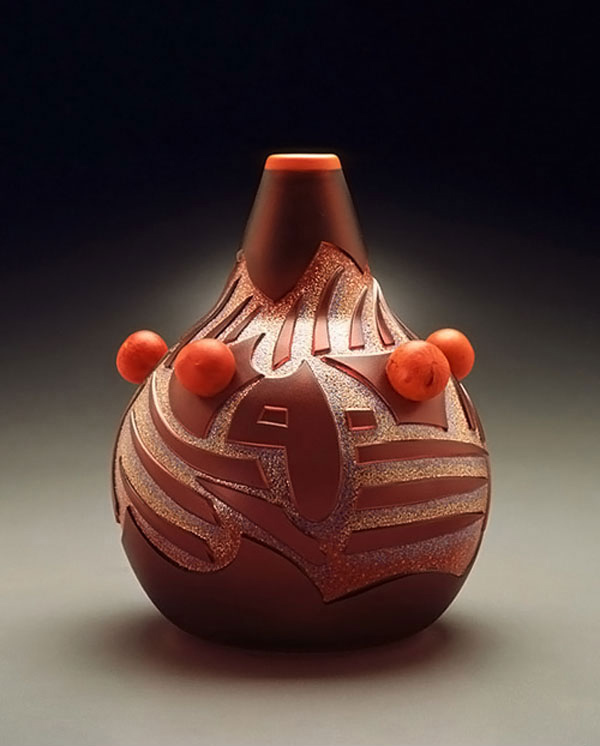 There are some vase designs made not just to add beauty for the interior. Some designs are intended to encourage the homeowners to complete a certain series of designs. 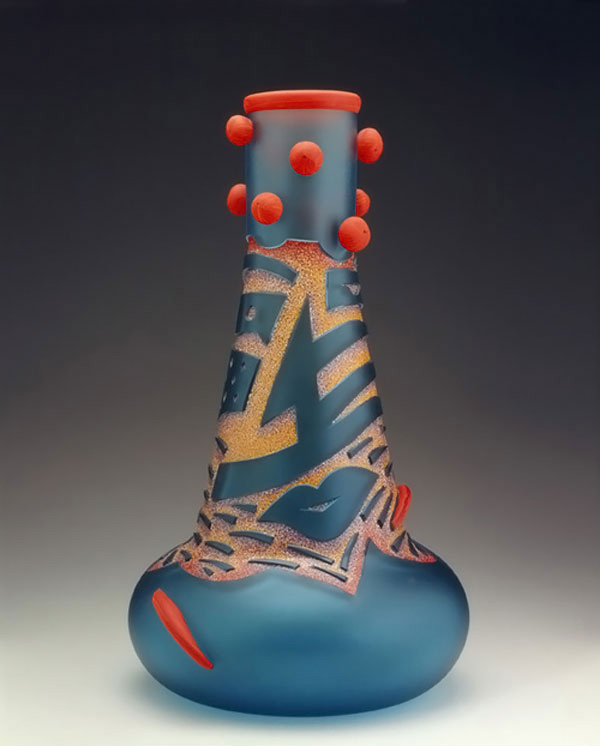 The vases designed by Dan Dailey would be like that. 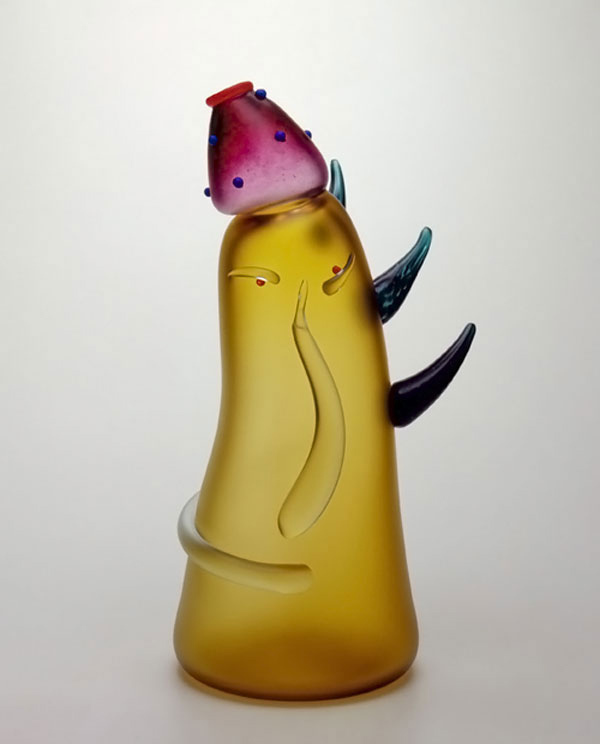 He has vase designs of various series like the Animal Vase Series, the Face Vases Series, the Abstract Head Series, the Mask Vase Series and others. The designs are unique from each other and it would also give a different look to your home’s interior. Dan Dailey is a natural born artist who has showcased his works in various exhibits around the globe. He always receives praises on his artistic creations like the ones you will see below. Let us take a look at some of the vase designs he have made. 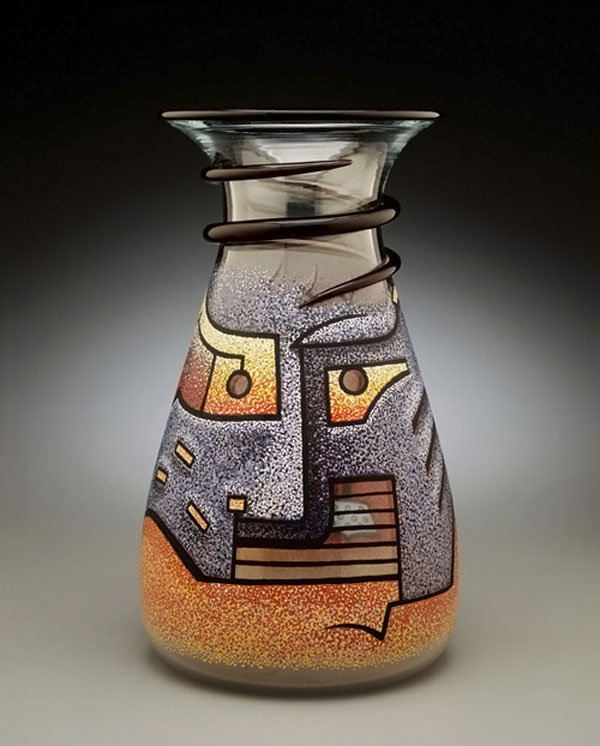 Part of his mask vase series, this one resembles a robot and creatively done with the choice of lines and shapes. 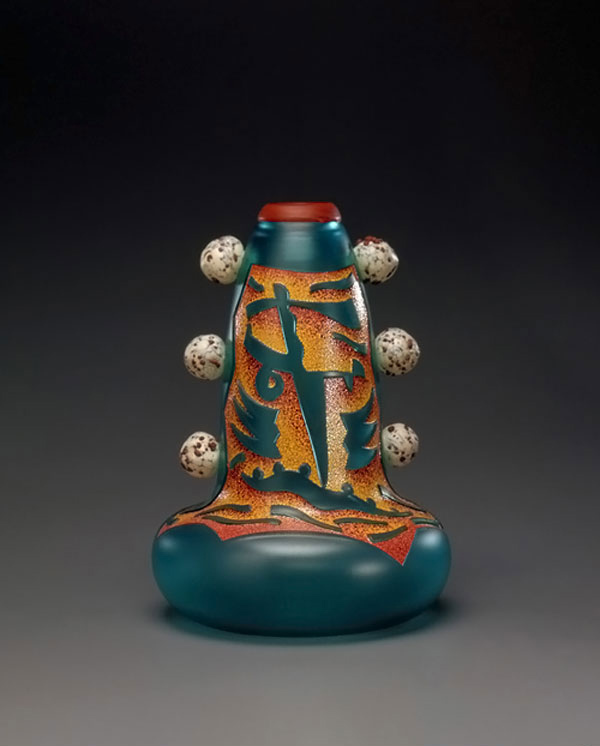 A polished glass vase whose concept is that of a fictional lizardman as part of his face vase series using shades of green. 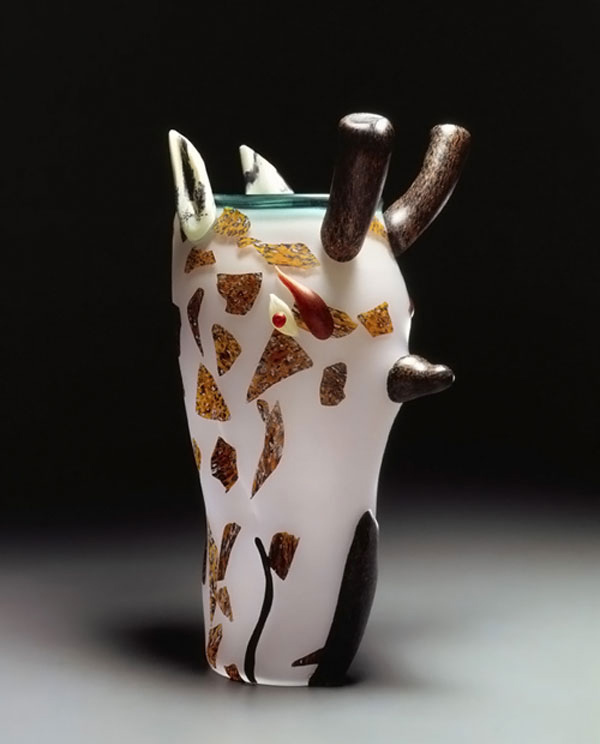 A white giraffe is seen in this vase done for the animal vase series. A jester clown is the model for this one which will surely give your home a different twist when you opt to use this abstract head vase. 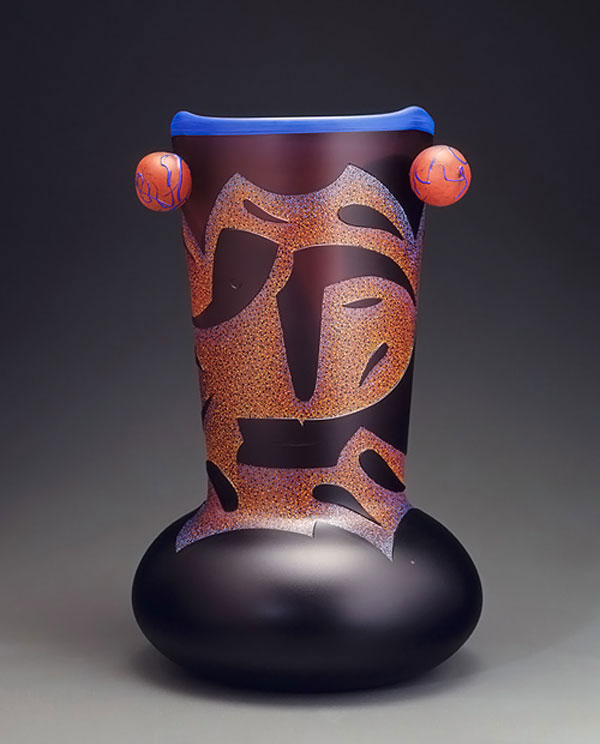 A polished amethsyt glass that made use of multicolored vitreous enamel to come up with this oak man face vase. Another face vase, this time it is of orange shades and made more creative with an orange rim and balls. The slim design manifest that of a woman’s body for this face vase of greens and red showing a voluptuous lip. 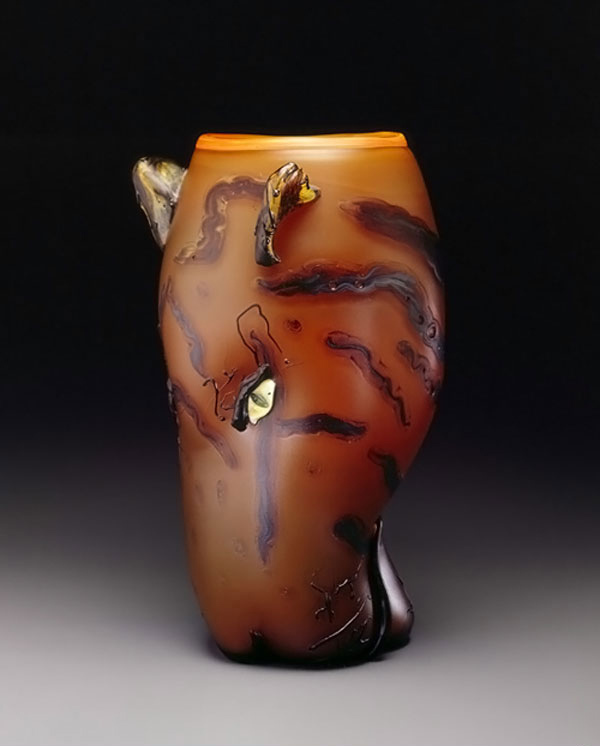 This one of course is an animal vase that looks strong and attractive. 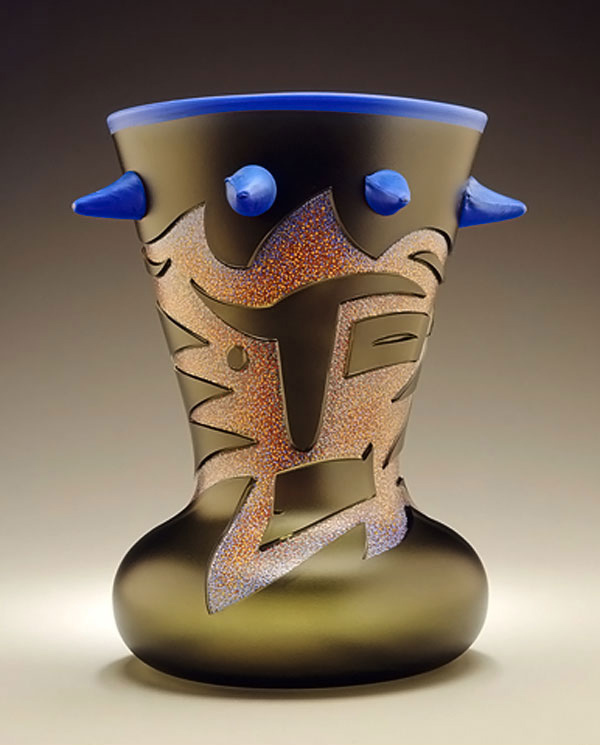 Part of the face vase series with prunts of blue making it look unique. 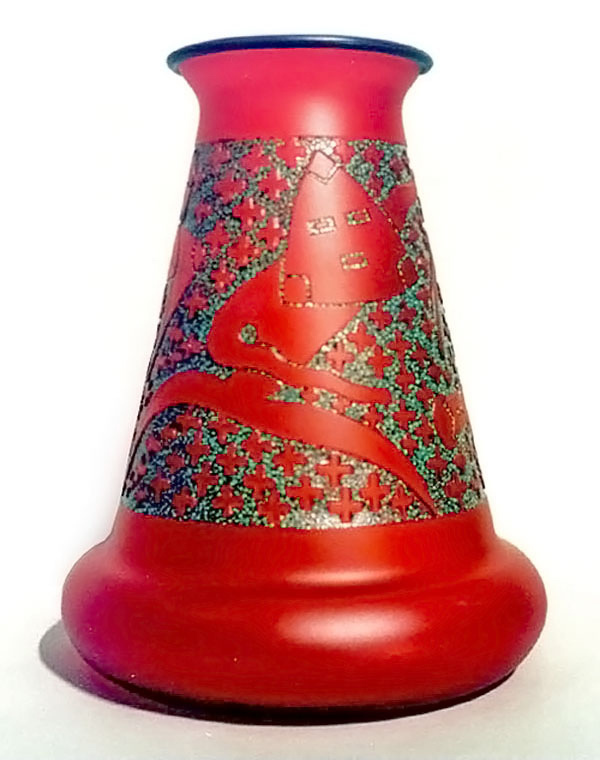 A classically designed vase showing a vintage inspired sporty and abstract shape on a red vase. Aren’t these vases lovely? These are creatively done by Dan Dailey – wexlergallery.com. These vases are samples of what a creative mind can do combined with the love for doing the particular craft. It really isn’t simple and easy to do some artworks like the ones you see above but with artists who have placed their hearts into their work, great results come out. So, if you were impressed with the vase designs above, you would certainly love to see more vase designs, right? Take a look at our collection of Animal Inspired Vases and White Vases. You will even be more inspired to get vases of distinct designs to add a visual impact to your home’s interior.